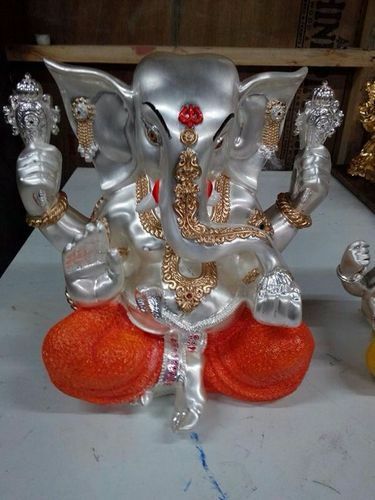 Silver plated ganesha for commercial purpose and retail selling. We are a manufacturing unit where we exclusive make idols in silver and gold. We also make cabinet idols with 24k gold platting. We have a fabulous collection for ceramic range of idols.